My weekends, whether or not you're interested in knowing, are more tiring for me than my week-days; I roam three cities. I spend more time on the roads than I do with any one person over the weekend. If anyone offered benefits for frequent driving miles on the inter-city highways I'd be right up there. My point, inter alia, is that I'm often alone. Also note that I upset people easily and the reverse might be true as well. An exhibition of artworks by eight female artists opened at the Koel Gallery in Karachi. The artists include Hamra Abbas, Risham Syed, Nausheen Saeed, Masooma Syed, Mahreen Zuberi, Seema Nusrat, Sara Khan and Nosheen Iqbal. Curated by Adeela Suleman, the show addresses different concerns, techniques, and generations. These days the word sufi carries with it the necessary adjunct that the occasion will have an input of music and poetry. Other than the puppet show that was held in the morning session of Sufi Mela at Alhamra, the evening session did have music and dance. Shafqat Ali Khan and Shaukat Ali performed, singing the kalam of the sufis, Sain Khawar too chipped in with his rendition of the kalam as did Suraiya Khanum. The programme ended with a dance performance in the form usually associated with the shrines. In Punjab its most obvious manifestation is the dhammal, most commonly seen in the shrines across the landscape, and in Sindh the dance form is a slight variant of jhoomar and soong. 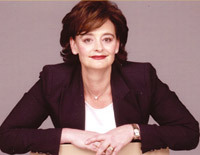 Although the former British Prime Minister Tony Blair's wife Cherie Blair proved rather unpopular with the media while her husband was in office, it is depressingly true that part of the reason for this was that she was an independent woman with her own source of income, and a very successful barrister. There is a shortage of skeptics in this country and the world in general; that upsets me even more. Therefore I can completely relate to Alan Shore (my favourite fictional lawyer) when he says, "I've never been sure about people but... words...yes, words are my friends". One of the words that most confused me as a child was "revolution". Firstly, because it just sounded like a big word. Furthermore, just when I thought I'd understood it with reference to the political context, the chauffer explained what RPM stood for; now that just sounded dangerous. I wasn't a smart kid and the kid in me is still alive, so small distinctions confuse me. Big words scare me but leave me curious. I am still, as ever, in bewildered awe of all those who speak of Revolution. This weekend two sources were particularly thought-provoking; Der Baader-Meinhof Komplex (a German film, I think) and Persepolis (a French film). Let's start with the German film. It is about Andreas Baader and Ulrike Meinhof; two communist revolutionaries who saw the regime, backed by the US, in West Germany as evil and oppressive. They blame the imperialism of the US and challenge its moral authority citing wars such as in Vietnam and they blame capitalism. They want to "challenge and overthrow the system". Sounds familiar? Let me tell more: the methods of the Baader-Meinhof movement soon turn violent. They resort to bank robberies, kidnappings and later bombings of government offices as well as killing of state functionaries. They feel that spilling some blood is a small cost. No, this isn't a piece about the Taliban, this is about something more. The revolution ultimately doesn't succeed but causes a lot of damage. But it is mostly physical damage so maybe it is easier to move on. Then came Persepolis: a film about the Iranian revolution and its impact on the life of a young girl. This revolution succeeded so the ideological damage is significant too. You can tell something is wrong when a woman can't smoke in public or can't wear a revealing dress without being admonished by the annoyingly virtuous. Both films left me uneasy. I've never been a fan of revolutions. I don't claim to know a lot of history either but my personal (and cinematic) experience of revolutionaries has been this: they don't tolerate dissent. The desire to change the system is noble in itself but to what extent will you go to change it? 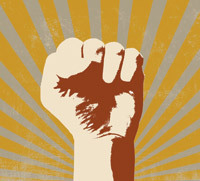 Is change synonymous with overthrowing? In Pakistan this distinction is especially pertinent now. The Supreme Court (SC) was restored among the talk of a revolution; at one point we did talk about evolution too but apparently that didn't quite cut it and it still doesn't. The media, after the media boom, speaks of how it has revolutionised the public discourse. The choice of words here, i.e. 'revolution', is all-important. It has shaped the public discourse and the reactions of our institutions to any criticism whatsoever. The self-appointed guardians of democracy are now telling us what real democracy is. Of course the constant references to that vague term "justice" abound. You may choose to disagree with the very roles some institutions have taken upon themselves but it might already be too late since they're not listening anymore. The culture of dissent is dying in Pakistan and we need to resurrect it. Make no mistake, I am all for the excitement promised by a revolution and general anarchy that will follow but I do have certain worries. My worry with revolutionaries is that they don't focus on the means enough. The end is all important and once you decide upon the end then no dissent is allowed. Therefore when people speak of the revolution being brought about by a person, the media or the judiciary I feel really uneasy. How far will the activism of each go? There is many a thing that is wrong with this system but whose responsibility is it to change it? Furthermore, every movement is a work of interpretation regarding what is important to/for those for whom you purportedly act. Should the use of the word independent, free or revolutionary set you free from the constraints of the system that despite many flaws can and does guide us? Who decides that an improvement of the system is a less viable alternative than a new system? The SC fixed the price of sugar, intending to help the people. The result is best summed up by the words of a friend after a few swigs: "It didn't really work out mate and I am putting this mildly". The apex court also invoked Islam in the judgment striking down the National Reconciliation Ordinance and although a lot of damage was avoided, certain apprehensions remain. There is an even bigger worry; anyone who dares to criticise the court is labelled as being a conspirator by the movers and shakers in the media. The inflation of orders based on what many perceive as over-reaching by the SC will only damage the court's reputation. And therein lies the rub; it doesn't have to care about it. The electronic media, overwhelmingly, supports the apex court and that isn't necessarily a bad thing. The lack of a debate, however, is beginning to enervate my hope. The lack of criticism is worrying. If we read references to Rumi in the court's pronouncements, shouldn't we see greater reflection on actions too? And I mean by everybody; talk about the self-righteousness exhibited by the likessome of of the most well-known analysts on the electronic media. To them, Article 248 (2) leads to a 'na insaafi' and an 'ajeeb si baat'. How eloquent! Lump it if you disagree with the immunity to for the Ppresident. Go fly a kite if you don't like Article 248 (2). Oh wait; you can't even fly a kite these days! I honestly forgot about the ban; don't put me in the Taseer camp. This is without prejudice to the fact that I would be happier getting "smashed" than accompanying leaders of banned outfits to election rallies. Back to where we were; why are a few institutions acting the way they are. Here is how I see it: These institutions are not susceptible to democratic checks and exigencies the way that politicians are. They are thus a-democratic; please note this is distinct from un-democratic. We the people can't hold these institutions accountable in the same way as politicians. Since they see themselves as being outside the "system" of public opinion, public pressure, ballot and re-election they seem to have taken it upon themselves to infuse our lives with the discourse of revolution. They see flaws with the system and paint it as too corrupt and hence too conservative to provide the change that we need. However, doesn't any system need to be conservative in some ways? Any system, especially one such as capitalism, has to be conservative in quite a few ways. Unbridled freedom to challenge everything by force is antithetical to it. You wouldn't want your property under threat I am sure. Freedom of trade and commerce requires, as a condition precedent, a mechanism with at least a semblance of order, backed by law, where contractual obligations are enforceable. So you require currency, courts and exchange rates etc. to be mutually accepted. And whereas all of us cede some of our rights, as per the purported social contract, we have collective gains too; since we share the costs and benefits of an established system. Certainty is certainly one of the benefits. Disagreeing with and seeking change from those we can hold accountable at the ballot is another. Sure, it takes time and some of us may not be around to witness the ideal world but we are better off settling our disputes within this framework rather than without. More importantly, our issues/problems have a better chance of being solved by institutions that we can ultimately hold accountable rather than those we can only influence through articles or loss of ratings. We must not cede any more public space to the talk of revolution and the associated discourse, regardless of which esteemed institution carries it out. It is the people and their representatives who should shape the debate. Will it take time? Yes. But here is how I see it: a delay in achieving results isn't necessarily fatal here, but haste might very well be. More importantly, the movers and shakers of the unelected institutions are not concerned with our preservation. They will snap photos and rejoice in the story of another upheaval. Who cares then? Well, the (often) semi-educated, opportunistic, god-awful politicians are our best bet for the change that we seek. This is the peril, the beauty and the essence of democracy. The power to bring about change should and does rest with you and me and our representatives. Let's not allow anyone else to make us believe otherwise. Its inauguration a few days ahead of International Women's Day is purely a coincidence since the curator was not concerned about gender representation. The curatorial note reads: "This show certainly does not include all what was interesting…. but few of my favourite artists……….Initially I thought that the exhibition has to be politically correct and must have a gender balance but the final list is completely politically incorrect and includes work of eight women artists only……..but I say to myself so what!" This honest admission to construct the basis for a group show is enough, as one does need to defend one's choices and likes all the time. What one sees in the curatorial approach of Adeela Suleman is visible in the works she chooses to display; it is also evident in the artists' attitudes towards their work. One can easily read and interpret works as emblems or reflections of great ideas, but the artists are not aware or concerned about the role of theory in shaping images. In most cases they approach their mediums, technique and images on an intuitive level, and once the work is complete they have the (first) chance – and privilege -- to decode what they created, before the devouring eyes of the critic. In that sense the works included in the Koel show (titled Being There) illustrate that process of creativity. Works such as mixed media paintings by Risham Syed and Masooma Syed make the viewers perplexed on the 'meanings' of the imagery and technique. For example Risham incorporates a number of visuals/materials in her The Heavy Weight Series, which refers to the idea of machismo in our midst, spreading from the physical strength to political power. Similarly Masooma's panel (Process Yellow) alludes to male supremacy in our society. Bull and buffalo's horns attached to a text piece affirm how power is an indispensable entity in our personal, societal and political relationships. The other artists who address the state and status of women in our newly and happily Islamised society are Seema Nusrat and Nausheen Saeed. In her mixed media constructions, Nusrat has tried to sculpt female figure; upper portion of body in one work and its impression in the second piece from leather belts which are associated with males. She constructs an impression or residue of female figure out of metallic parts of men's belts. On first glance, one is unable to detect or determine the nature of the material or its link with the artwork, but after some time the work unfolds its content. The web of belt's buckles form the contour of a female figure, as the milk cans made by Nausheen Saeed (called Condescend) are shaped on the naked body of a woman. These sculptures suggest how the female is perceived as an emblem of beauty, as well as a useful entity in domestic matters. For many, a woman does not have a separate identity, other than being a mother or the person who looks after or raises young kinds. Female figure, converted/condensed into a milk can, besides being a comment upon the physical and distinct attributes of women also refers to her assigned role as the perpetrator of the race. Incidentally the dark forms of these female figures in metal are replicated in the poster-like work by Hamra Abbas called Woman in Black. Apart from gender issues – if one can define these as such – other concerns mark the art of Mahreen Zuberi, Sara Khan and Nosheen Iqbal. These artists allude to security and terrorism. In Zuberi's amulets and drawings of security walls in front of houses, one observes the current urban scenario where every house and building is barricaded against the invisible and invincible enemy. Zuberi has made amulet, a device to ward off evil with the high walls, as a means to protect oneself from alien assaults. However, her work reminds of Bani Abidi an artist who has been dealing with the same issues with a similar imagery long before Mahreen Zuberi. Nosheen Iqbal and Sara Khan are showing their small sculptures. Iqbal uses tiny parts of watches to rearrange these as components of Mughal miniature paintings. Horse, riders, birds, clouds and maidservants are all forged by small pieces of machinery, but in such a manner that one is able to recognise the characters and scene of the court. Likewise, Sara Khan combines walnut with a new-born baby or embryo on one side, and with the top of hand grenade stuck on the walnut sculpture. Her piece indicates the growing element of fanaticism in our midst and how it is affecting everyone. Compared to younger artists like Zuberi and Khan who have commented on the pertaining conditions, one realises that the older generation of artists is not much concerned about "content" in its works. Hence there is no direct or easy clue or explanation to the works of Risham Syed, Hamra Abbas, Nausheen Saeed and Masooma Syed. This disparity of approach demonstrates that content is not essential to understand or contextualise an art work; it is merely one of the elements in the process of art making. It is not without solid reference that the sufis are considered to be the standard bulwark against orthodoxy and seen as protectors and nurturers of cultural practices. In these times of extremism the more orthodox sections of the population invite an equally strong reaction from the other side that permits a more liberal interpretation of the tenets. It is unfortunate that the entire discourse has been limited to a very narrow base with the argument appearing to be a spin off between the parameters of being permitted or forbidden. One shudders at the poverty of the whole debate. With the hardening of positions on both sides, the debate has lost its fluid amorphous quality and is often quoted in self-justification. Not all but many silsilas of the sufis were quite lavish in their patronage of the arts. Nearly all of them were poets and expressed their vision through this heightened form of expression and some say that certain of the sufis were also well-versed in the craft of music and dance. Certain names are mentioned in history but it goes without saying that the shrines did become venues of patronage of music and dance in whatever form. And the same tradition has continued till now with the shrines providing solace to the struggling artist and the troubled souls. In the Punjab, Sindh and the Frontier province the poetry of the sufis is sung in various forms of music like the kaafi, wai and qawwali. Kafi and wai are also musical forms which are meant to render the specific kalam of the sufis while qawwali is more polyglot and includes all sorts of kalam, the poetry of the sufis being one of them. Then there is no difference in the languages as well -- it can be Pushto, Punjabi and Sindhi as indeed it can also be Persian, the language of the classical era when poetry in the Trans Persian region which now includes, India, Pakistan, Turkey, Iran and Azerbaijan, Tajikistan, Turkmenistan, Kazakhstan and even Xinjiang was written in many languages, but Persian being the language of literature and scholarship took precedence. Poets from a vast region mentioned above wrote in Persian, which formed the song text of qawwali. It was thus not surprising that the poetry of the sufis was sung at the Mela but mostly it was Punjabi poetry, being in the heartland of the Punjab. It was simply electrifying, as the kalam of the Sufi poets was rendered, for the audience already familiar with the text responded in a manner of an initiated audience. Similarly, in other parts of the country the language particular to that area is responded to the most. In the Punjab kafi, for example, is sung in many different ways. Shafqat Ali Khan sings it like the kheyal and thumri in the manner of his father, Shaukat Ali sings the kalam in the style of rendering a dastaan, while Sain Khawar Hussain throws his voice and sings it in the pure folk geet like tradition of the area. Similarly, vocalists like Surraiya Khanum have evolved an ang that is closer to the one that is represented by Pathaney Khan and Zahida Parveen, two inimitable artists of the kafi. Sufis did humanise religion. Theirs has been the institution that has extended sanction and sanctuary to artistic expression. They have also emphasised substance over form as the many practices that were considered to be outside of the pale of a stricter version of religion were propounded by the sufis as essentials to humanity. This also included what we call cultural practices today. For the sufis the people were of great importance. This people- friendly approach considered man in its entirety, including his passions, emotions, imagination, excesses, weaknesses and failures. It is not surprising that the sufis and their shrines became a sanctuary for all those people who either were not accepted by the so-called successful or those who in the first place considered this world to be worthless and were keenly aware of its futility. It is perceived by many that the strand represented by the sufis in our tradition needs to be emphasised these days more than ever before. The sufis relished peace and tranquility, they provided the countervailing force to the concept of the order or the state wielding the rod of violence and force. Peace was their slogan and violence was dismissed as a necessary condition for the imposition of the good. It had to be cultivated as to come from within the individual self. All this was reflected in the arts and not in the hand me down prescription. If accepted and practiced in totality it can transform not only individuals but societies as well. While her husband was in office Cherie Blair had to endure endless criticism and personal jibes, starting with her opening her own front door the morning after the 1997 Labour landslide election victory, looking dishevelled and in her nightie. She was just answering the door but of course the scores of photographers had a field day and she was heavily criticised (and nobody really asked: where was her husband?? Couldn't he have answered the door?). It went on and on: Nobody liked her, they criticised her large, crooked mouth, her appearance, her taste in friends, her daring to sing (badly apparently) a Beatles song in public. Nobody really appreciated the fact that she was a good role model for young women, as she juggled her roles as first lady, high ranking barrister, wife and mother. She had a baby while her husband was in office and she was in her forties, and she carried on working. Today, although Cherie Blair is no longer the first lady she continues to be active in the cause of working women, all over the world. In a recent article on the occasion of International Women's Day she wrote an article called "Liberate Women -- Give them mobile phones" which talks about how technology can help women in their working lives because of its speed and remote access. Her point is valid. Internet and phone accesss can allow women to be on the job without necessarily being in the workplace. You can check up on information independently, you can get on with work at all sorts of odd hours. As Sarah Sands, writing in the Evening Standard about Blair's article commented, women are savvy with technology. She cited the case of when she was writing an article on female leadership and she consulted several senior businesswomen "who all responded instantly. One was travelling, one bathing the children, yet emails pinged before dawn and in the late evening. Office hours are a thing of the past. Juggling working mothers do not see the extension of work as an infringement. They welcome it. When they call for flexible working hours, they do not mean part time. They are truly willing to work into the night, so long as they can see their children beforehand. The BlackBerry and mobile phone are not intruders but liberators." Sands has a good point: women are willing to work all kinds of hours if they are able to see their children regularly and be there for them. You would think that technology would have made this more of the norm, but unfortunately (largely due to mismanagement, male egos and a few irresponsible women) this has not been the case. Most women work anyway, but it is all undocumented work within the home; more women would be in jobs if there were more flexible hours and part time opportunities available. My own regret and guilt about not being there for my children more (it is a daily three hour commute plus an eight hour work day for me) is balanced only by a slight contempt for women who expect their husbands to provide for them completely, and my belief that every woman must be doing some sort of work, preferably paid. I recently had a couple of weeks off work because of a bad back and I truly loved being able to watch daytime television, being able to potter around the house and being present both when the children left for school as well as when they returned...but there is also the feeling that you are duty-bound to be involved in some productive work, have access to a workplace and networks outside the home and also not make your spouse a workhorse and the sole earner. As today is Mother's Day (a thoroughly commercial enterprise) in UK, we should stop a moment and think about the work of mothers. It is a difficult job and a huge commitment but the real struggle is to be there for the children without making them the centre of your universe and stifling them with your emotional dependence and need to be needed... And you should be a role model to your daughters in terms of work: their job is not to be begums involved only in fashion, socialising and drawing room talk but to be productive members of society. And on a thoroughly different note: the whole family recently went to see My Name is Khan and thoroughly enjoyed it. It is a great blend of a post nine-eleven story with elements of Forrest Gump and Rainman, and it provided constant entertainment throughout. And like most good Indian movies is a thoroughly cathartic experience: you laugh through the first half, you weep through the second, and you feel quite good by the end! I also was very excited to see Madame Noor Jahan's granddaughter Sonia Jahan (the daughter of Florence and the late Akbar Rizvi) in the film. A beautiful young lady, and giving a fine performance: I was proud to see a Karachiite doing so well!